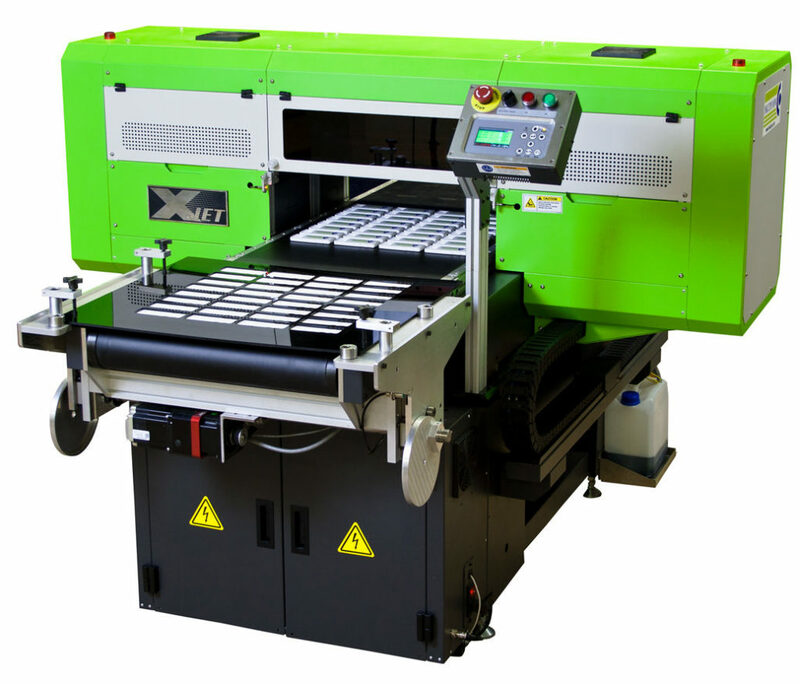 The XJET is a workhorse UV LED printer suitable for both short-run and long-run industrial printing. Designed expressly for the needs of the industrial printing and promotional product marketplace, this machine bridges the gap between slower, smaller inkjet printers and expensive high-speed (but medium-quality) inline systems. Inkcups has the only patent on the loading arrangement for the XJET. The loading system allows for fast and efficient loading of parts while the XJET prints. No matter the size or shape of your part, Inkcups will develop a fixture to fit your needs. Purchase an XJET EdiJET and print directly onto edible items such as cookies, cakes, and candies. EdiJET ink is safe to consume and has been known to pass FDA regulation on finished printed goods. Create stunning phone cases customized to the customer’s needs. Print a bunch or print one, the XJET can handle both. Print nearly any design choice on items such as coasters and truly give it that decorative feel. Customize napkins in full color for any occasion such as weddings or birthday parties. Also, ideal for restaurants and bars for branding. Quickly and easily decorate large images in incredible quality in seconds. Print on a wide variety of toys of various shapes and sizes in full color with incredible detail.